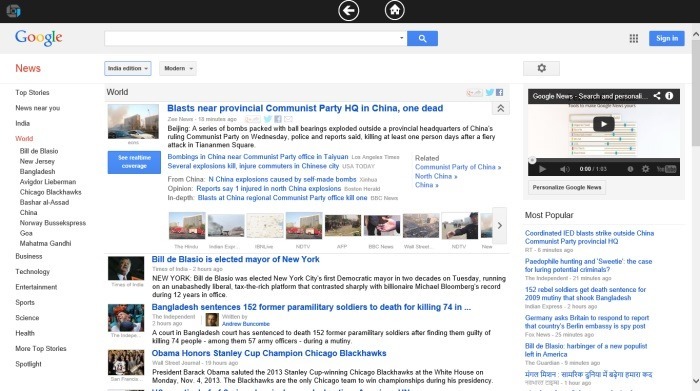 News Centre is a free Windows 8 News Reader. Using this News Reader, you can get news from some of the best News Sources from around the World. Add new News Sources into this app and get updated about the latest news and happenings without even using your Web Browser. News Centre is freely available in the News & Weather category of the Windows Store. Let’s get you better introduced with this News Reader. Using this Windows 8 News reader, you can add as many news sources as you like and can get News from them without even using the Web browser. As you get to the main screen of this free Windows News Reader, by default, the option for BBC will be available. Click on it and it will open up in the app for you. Now, apart from this only available News Source, you can add new news sources. For that, you can make use of the option that is available at the bottom of this Windows 8 News Reader. On the bottom of the page of this Windows 8 News Reader, there is a ‘+’ like symbol. Clicking on it, you can add new news source. Clicking will open up a page on which you have to supply the Web Address of the news source and the name that you want to assign to the shortcut of the News source. 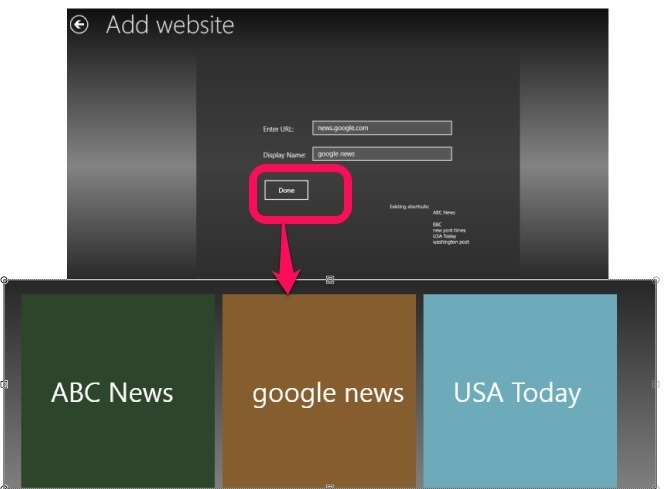 As you click on the Done Button, the new news source will be added to the main screen of this Windows 8 news Reader. Now click on the arrow that is available on the top to go to the main screen and the new source will now appear. 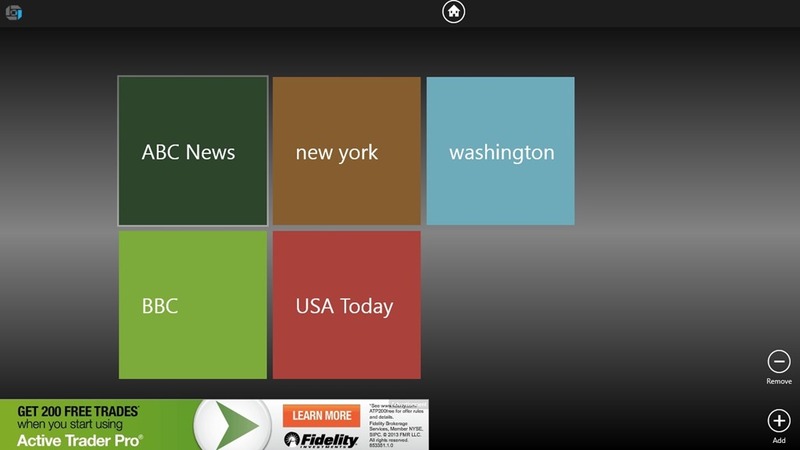 Click on any of the news source that is appearing on the main screen of this Windows 8 News Reader and start reading. The news will appear in the same way it appears in web browser. You can add as many news sources as you require. Also Check Niiiws and Nook app for Windows 8. Add as many sources as you like. Read news from the Internet even without browsing the Internet or without using your Web Browser. Can also view news videos. As per my experience, this Windows 8 News Reader is quite nice. Its feature to browse the news from the app itself will save your precious Time. Plus this, you even have the capability to add as many news sources as you like, which is quite a good thing. Try it for sure to know better. Share your experience with us here.